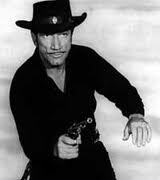 This morning, I was tickled to learn that Richard Boone, the actor who played Paladin on the late 1950s-early 1960s show Have Gun Will Travel, was born on my birthday. Boone’s character, Paladin was a soldier-of-fortune/knight in not-so-shinging armor. Between jobs rescuing people and otherwise righting ambiguous wrongs, he lived in a hotel in San Francisco, played poker, enjoyed the classics and let loose tidbits about his background as a West Point graduate and former Union Army officer during the Civil War. On the trail though, he always wore black: black shirt, pants and neckerchief, black boots, black hat, and even a black holster with his trademark silver knight’s chess piece emblem on the side. As a nine-year-old watching him on reruns, I thought he was cooler than cool, maybe even cooler than Bat Masterson because there was something a wee bit dangerous about a character whose only allegiance was to his own code of ethics. I got to thinking about Paladin and the ambiguity he represented during the height of the Cold War. Here was a man who could be mistaken for an Eastern “dandy,” but brought sensibilities to his tasks as a gun-for-hire that eschewed the easy answers of black and white morality for the grayer tones that teased out the palate of black and white television images. Having been a kid in the midst of such things as the Cuban Missile Crisis and Kennedy’s assassination, characters like Paladin seemed to make their way through the thicket of issues that pitted civilization versus barbarism as a frame for the collective discomfiture of living under the threat of annihilation while coping with the angst of allowing our humanity to shine through. Flashing forward what amounts to me to be a healthy lifetime later–the world I grew up in is altered beyond recognition. Watching an old episode is to step back in time to moral choices that seem simple and naive, with ideas about women and men that seem laughable and anachronistic. And yet, we still dither among them; finding ourselves in wars that make no sense, still telling ridiculously offensive jokes that have impossibly made it more into the mainstream. The outgrowth of Paladin, a mere five years later was James T. Kirk and the crew of the Enterprise, pushing their way into space toward a utopian future that belied the nightmare dystopic visions of such programs as Rod Serling’s Twilight Zone. 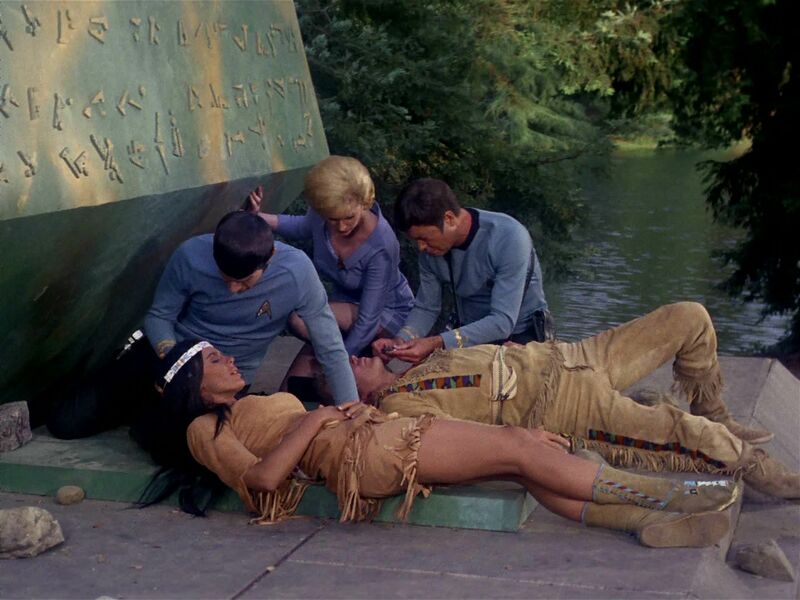 And yet Star Trek‘s utopian ideal did not embrace the spaciness of Kennedy’s call to technological wonderment. Gene Roddenberry’s future (who incidentally wrote 25 episodes for Have Gun Will Travel) was more in line with Thoreau and Emerson. The ideal was a simple life fulfilled by meeting one’s essential needs as part of a small communal existence based on a natural order of elders leading novices, and where technology, in service to the greater good, remained hidden under the covers of houses which resembled the adobe buildings of the Zuni tribe from the American Southwest, or as malevolent interlopers manipulating the simplicity of natural living. Certainly the economics of 1960s television had something to do with the simplicity of Star Trek’s sets, but the visions, not so unlike the western frontier towns of Paladin’s world were also very contrary to 1960s America which was on fire–literally–as part of the daily diet of nightly news. Why not envision a simple communal existence when the alternative was watching entire portions of cities being clear-cut by riots not unlike the swaths of jungle in Viet Nam carpet-bombed by napalm. Having lived through the extraordinary shifts of the past half century and more: I am amazed to be in a world where marriage has been redefined to allow young men in love to marry other young men; where women box in the Olympics, and on that wonderful show that leaks tears called So You Think You Can Dance intricate Bollywood numbers are standard fare. To consider all of this and the myriad of stuff that’s happened between my nine-year-old self watching Paliden and catching the second installment of the Star Trek reboot a couple of weeks ago, is to realize that the life I am living and the larger society around me is one that was never particularly anticipated. The 2013 we all thought about in the 1960s had flying cars–and in Star Trek canon would have already seen Khan and his group of genetically enhanced super beings propelled into space in frozen animation. It puts in mind the thought that no matter our visions for the future whether utopian, dystopic or somewhere in between–we really can’t know what it is going to happen or how one incident or another will cause us to pivot and realign. It is what happened to the world globally in 1914 when Prince Ferdinand was assassinated in Sarajevo and is repeated over and over again as large scale events and tiny happenstance that causes each of us as individuals to move through life in directions we never thought we’d find ourselves in. Sometimes those changes are for good and at other times wreck terrible havoc that may take generations to recover from, if ever. What I’ve discovered on this journey from then until now is that life is analogous to riding on the back of a truck facing behind. What I can seeing unfolding is only the road as it comes. And while I have plans for the future that will keep me busy for as long as I can stay afloat on this wonderful place called planet Earth–I really never quite know what is going to happen. All I can do is live each day with as much love as I can muster in my heart along with enough good fortune to keep on truckin’ (hat tip for that last bit to my dear friend Pren). Beautiful essay. I never thought I’d see the day Benjamin’s Angel of History is sitting in a flat-bed truck, but alas I have. So very well done! 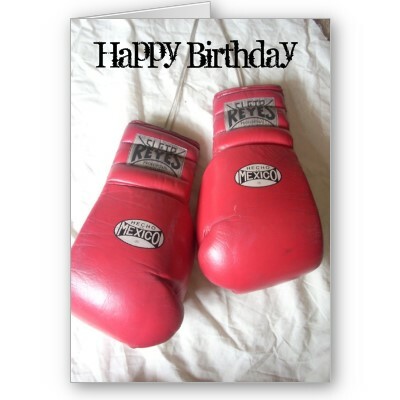 « Women’s Boxing champ Frida Wallberg KO sends her to the hospital for emergency brain surgery.